With the joint development of the Internet and digital photography, pictures of Northern Lights are easy to come by. This wasn’t the case in the previous centuries though, and artists of these times had only one way to capture the iridescent beauty of the Aurora Borealis: heading to the drawing board! In case of confusion, the Northern Lights are the cross-shaped item on the far-left. 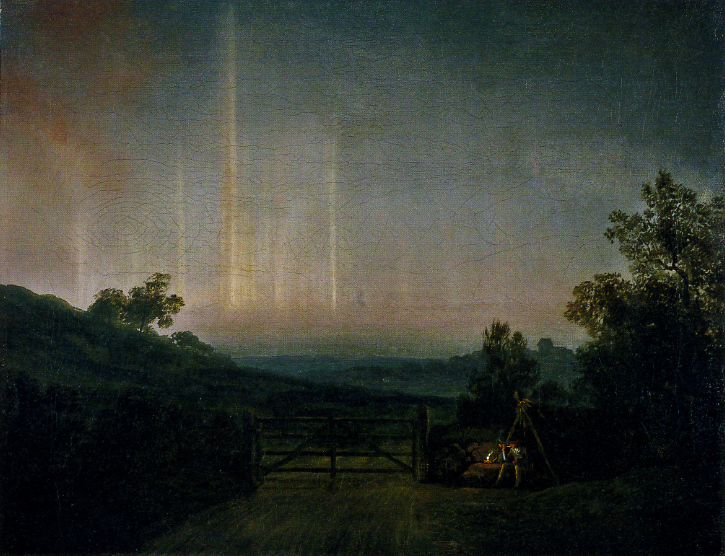 For the longest time, it looks like witnesses of the Aurora were so puzzled by the exceptional sight of the Lights that they lost their abilities to paint or draw properly. A famous German print from the late XVIth Century shows realistic-looking people in front of a realistic-looking city (Nuremberg) gazing upon the Northern Lights above. The Northern Lights were represented this time by very-realistic looking…fires! Indeed, since the Antiquity, the Northern Lights have been likened to flames and fires. It seems that the resemblance was so apt that even lithographers and painters needed to show it through their art. Northern Lights were often compared to flames. In the XVIIth Century, the Auroral activity was weaker than in the prior century and, as a result, fewer Northern Lights were seen and drawn. In the XVIIIth century though, the Auroral activity peaked again and the marvelous Lights could been seen semi-regularly over various localities in Western-Europe. It is during this period that artists finally transitioned from painting symbolic representations of the Aurora to making faithful depictions of the heavenly phenomenon. A great example of this more realistic movement is Danish painter Jens Juel who produced a thoughtful artwork in the 1790s. From this point on, realistic representations of the Aurora would be the rule for most of the XIXth Century. For centuries, inhabitants of the Arctic lands have witnessed the spectacle of the Northern Lights but rarely if ever made physical representations of it. This changed in the XIXth Century when various revolutions in transportation made it possible to go back and forth to the Arctic Circle and thus export a native view of the Aurora Borealis. The most prominent representative of this period must be Peter Baldke who started his career painting very Romantic-inspired landscape paintings but crowned his career in the 1870s by painting a series of Northern-Lights paintings unlike any others made previously. The artwork, painted in a time when Impressionists were still frowned upon in the rest of Europe, displays the incredible forward-thinking glare of a master-painter who, through his agile and precise brush-work, literally knocks on the doors of abstraction with audacity and grace. 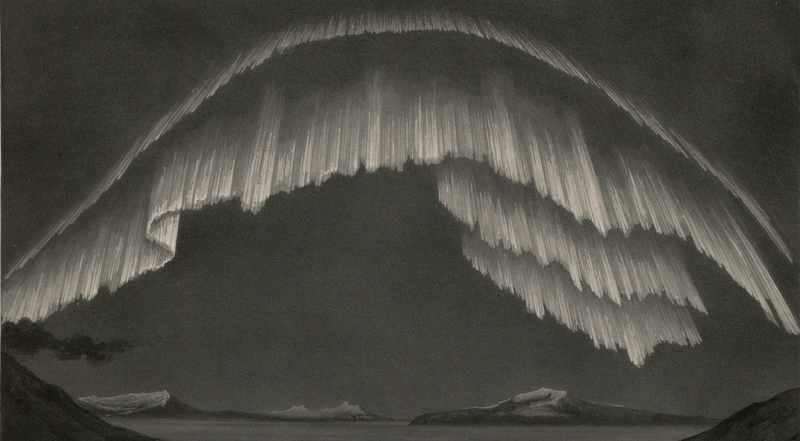 In the late XIXth century, Northern Lights drawings, etchings and engravings had become rather well-known and anyone who could secure the illustrated morning paper could gaze at skillful and faithful representations of the Aurora (like the one shown at the beginning of this article). At the same time, an innovative new media was slowly starting to gain ground and even started to dabble in Northern Lights representation: Photography! See you next week for Visions of the Northern Lights Pt.2: The Rise of the Darkroom ! (I) Arthus Bertrand (1839) Northern Lights in North Norway. 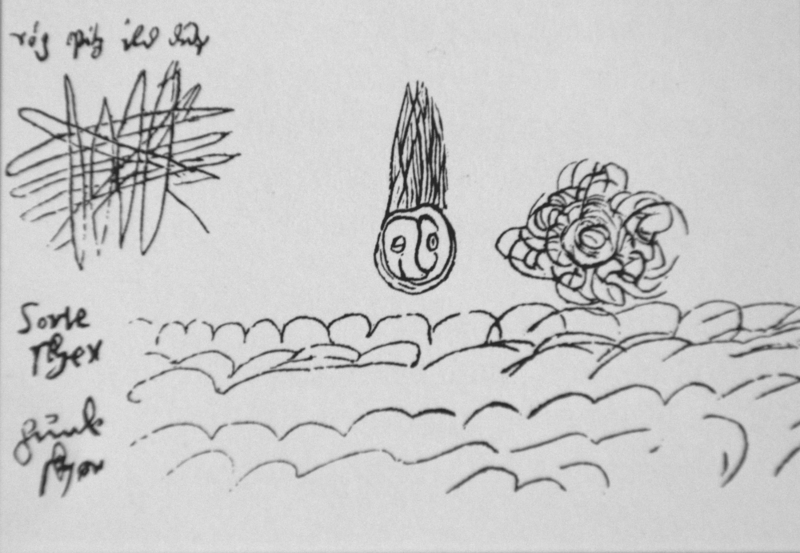 (II) Absalon Pederssøn Beyer (1564) Various heavenly light phenomenas from his Journal, 1552–1572. (III) Wolf Drechsel (1591) Aurora appearing over Nuremberg the 5th of October 1591. 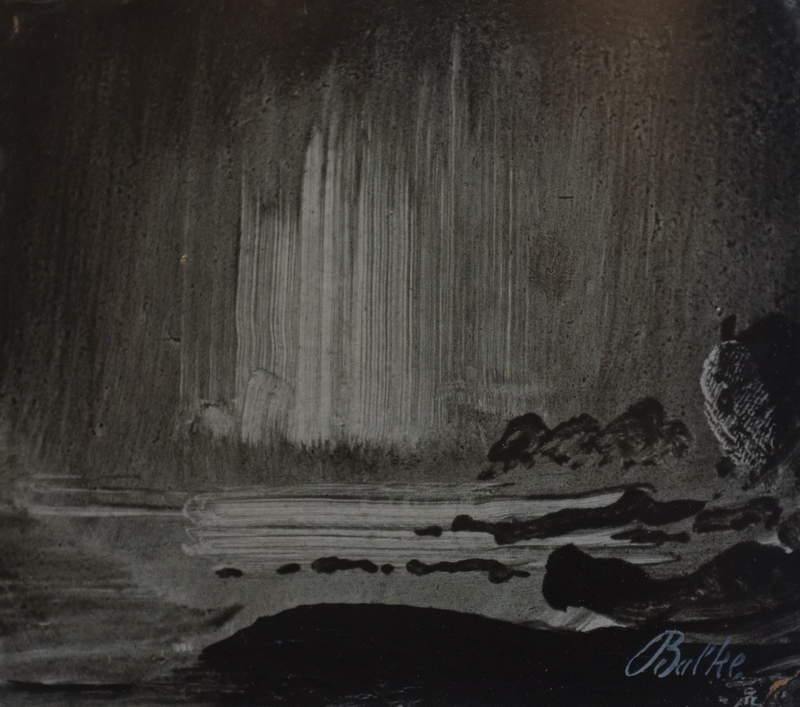 (V) Peter Baldke (1870) Northern Lights over Coastal Landscape.